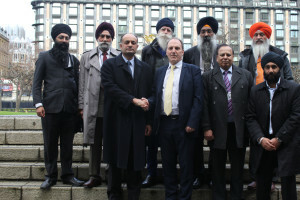 Former Lib Dem MP, Parmjit Singh Gill, Sital Singh Gill General Secretary, Indian Workers Association and representatives of the UK Sikh community met with three Ministers last week on Tuesday 26 February following the release of the report by the Government confirming UK involvement in the 1984 attack on the Sri Harmandar Sahib (Golden Temple) complex in Amritsar. The first meeting was with Baroness Sayeeda Warsi, Senior Minister of State in the Foreign and Commonwealth Office and Stephen Williams MP, Parliamentary Under Secretary of State for Communities and Local Government. 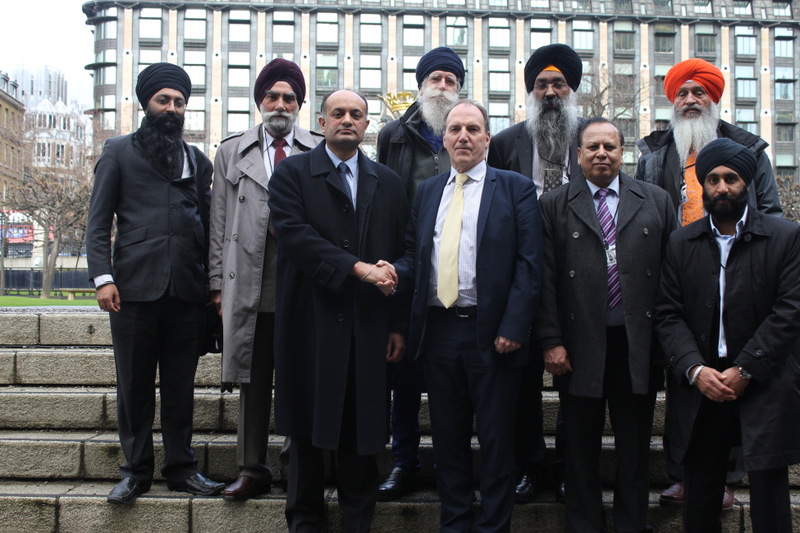 A further meeting was held with Simon Hughes MP, Minister of State for Justice and Civil Liberties. Ministers in the first meeting were presented with the evidence of why an inquiry was required following the Cabinet Secretary’s report. Files had been destroyed that shouldn’t have and Parliament appeared to have been misled at the time. The parameters of the review were too narrow and the Terms of Reference had been changed. The release of additional documentation covering a broader period of time, including the genocide of Sikhs in 1984 needed to be brought forward.It was suggested that defence related commercial interests had been advanced on the basis of providing advice to India and measures taken to stop Sikhs in the UK from exercising their democratic right to hold peaceful gatherings in the UK. The question was also put asking what sanctions, if any, did the government of India threaten the UK in order to secure its silence when a genocide of Sikhs was taking place in India? The Justice Minister was asked to confirm whether the documents which sparked the inquiry had been released in error and why more files had not been released amidst allegations that they would prove too embarrassing for the UK and Indian Governments. “The Minister agreed to review the processes that were in place at the time to determine why such important an file could have been destroyed when it related to one of the most significant events in Sikh history. The Minister was also asked how documents not yet released could be brought forward to obtain a more complete picture in relation to events of 1984 including the genocide of Sikhs.